When my sister's in town, our no-repeating-lunches rule gets relaxed. 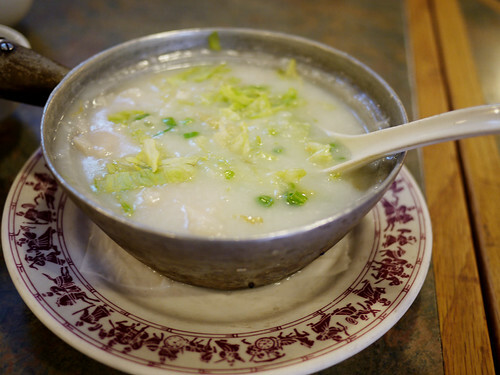 Which led us back to Congee, though we had just eaten there last week with Ray. Her occasional visits subvert all our normal rules, so much so that we ordered exactly the same thing we had last time. There were more leftovers this time, due to Hong's stomach, though a good one, not quite up matching up to the capacity of Ray's.